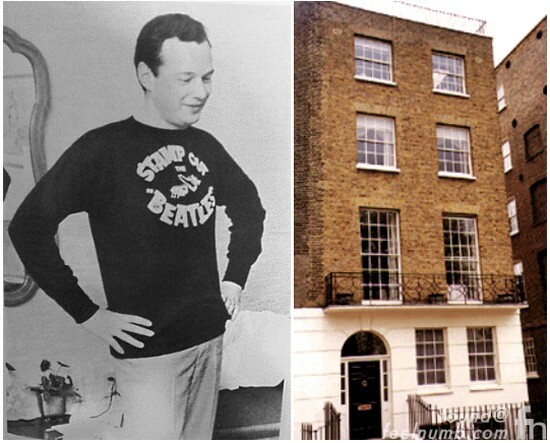 On August 27, 1967 Brian Epstein, The Beatles manager was found dead in his bed on the second floor of his home located at 24 Chapel Street Belgravia, London. Epstein had taken, what was most likely an accidental overdose of Carbital, a popular sleeping pill of the time. 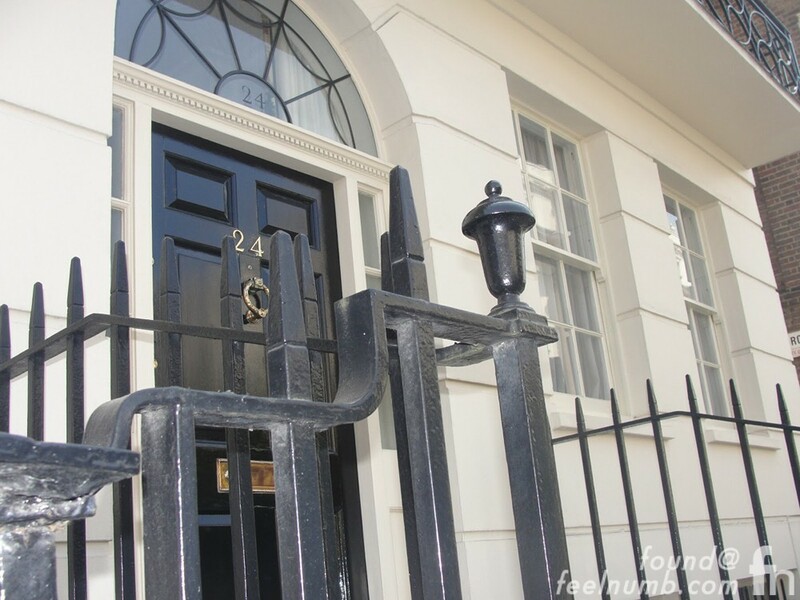 Epstein had telephoned Peter Brown, the assistant to both Epstein and The Beatles at Kingsley Hill the day before at around 5pm. He apparently sounded groggy and Brown advised him to come back to Sussex by train and not risk driving. 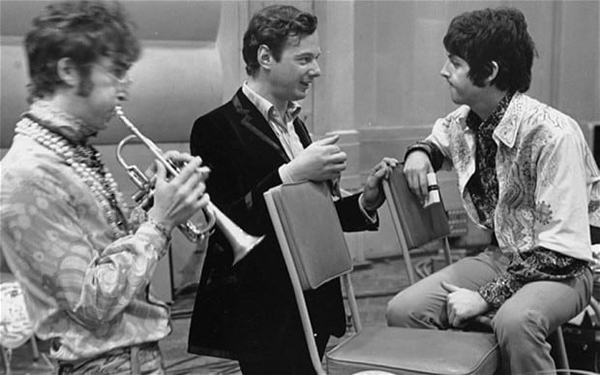 That was the last conversation anyone had with Brian Epstein. On Sunday morning his housekeeper arrived at his flat and got no response. She called a few of his friends and after a while they decided to break down the door only to find Epstein lying dead in his bed. He was just 32 years old. Many memorable parties were held at 24 Chapel Street, including the release party for “Sgt. 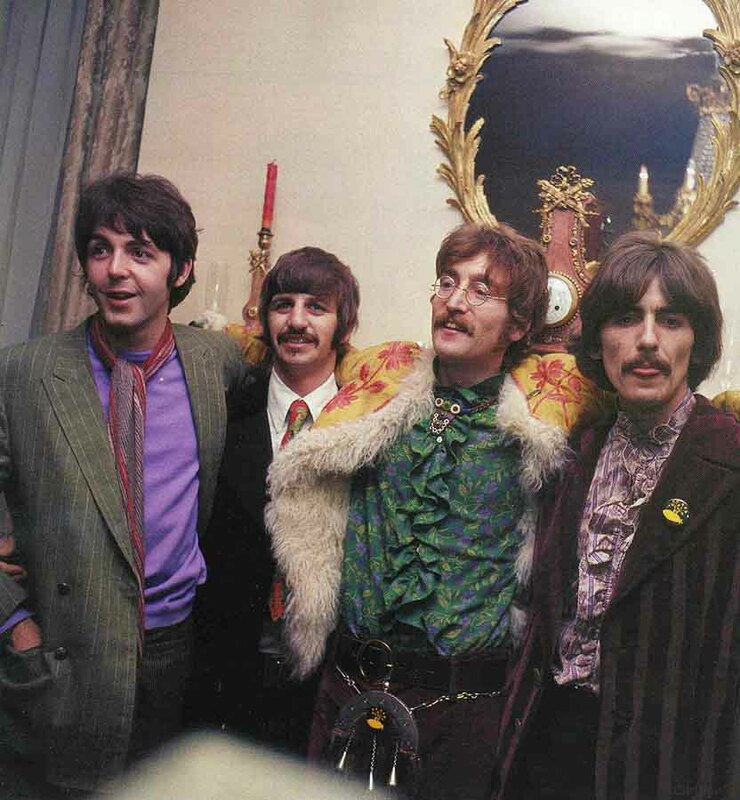 Pepper’s Lonely Hearts Club Band” on the evening of May 19, 1967. 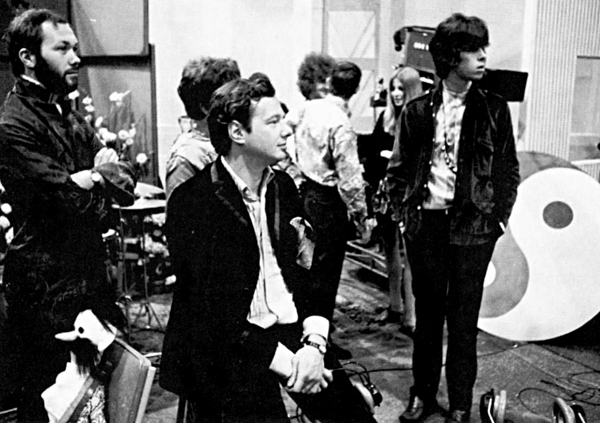 The Beatles and Brian Epstein hosted select journalists and broadcasters from the music and national press. 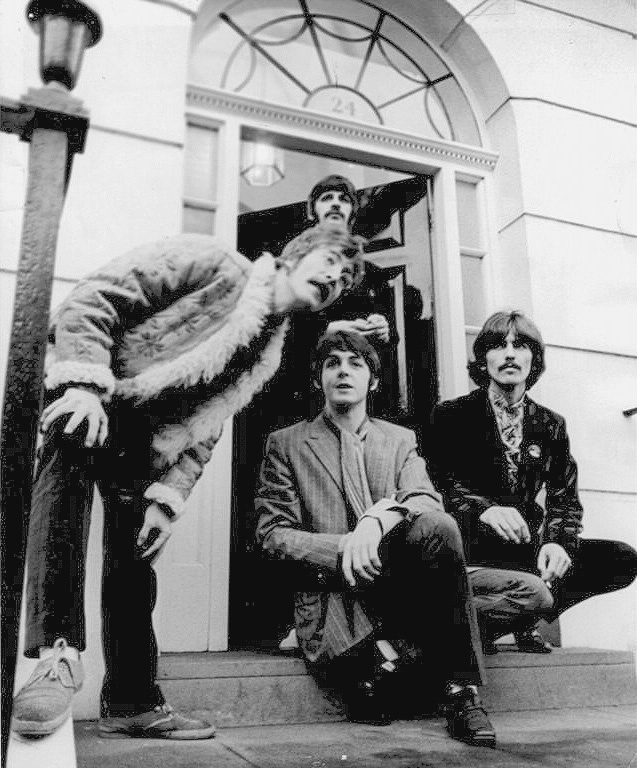 Here is a photo of The Beatles standing at the front door of 24 Chapel Street the day of the party. 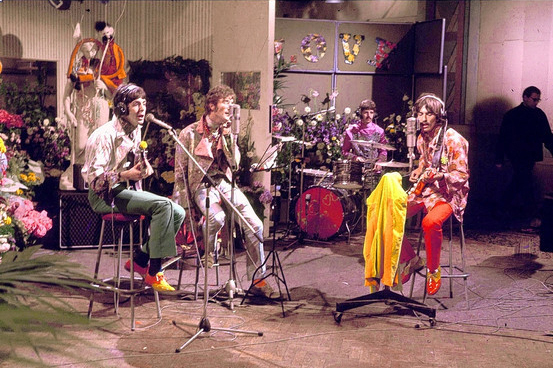 These are some of the last professional photos taken of Brian Epstein alive at The Beatles “All You Need Is Love” rehearsals for the One World broadcast on June 25, 1967 two months before his death. Here’s a great one of Epstein with The Rolling Stones Keith Richards who with his band attended the “All You Need is Love” broadcast. 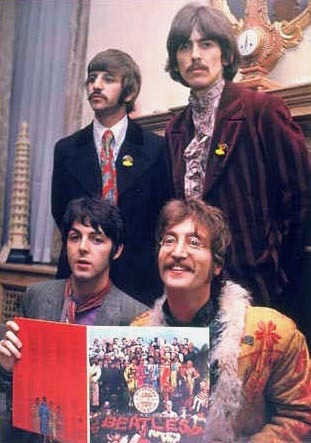 Check out the full gallery of The Beatles “All You Need is Love” rehearsal and broadcast at DAVIDMAGNUS.COM.